Ryan Bates lived in McCloud from 1969 to 1979 while his father was employed by the lumber company. 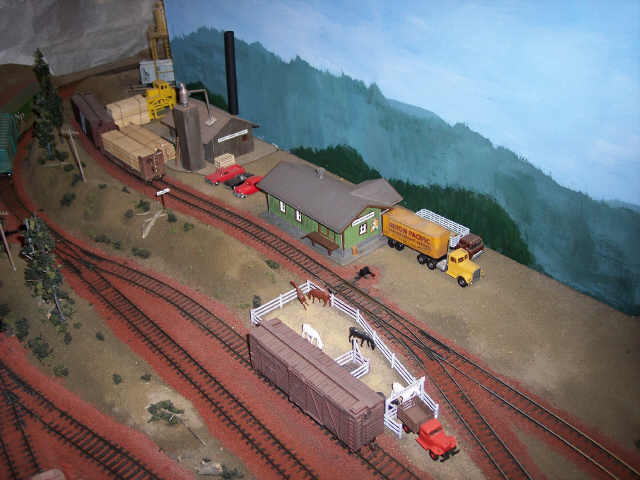 Growing up in McCloud instilled a lifelong love for the railroad in Ryan, and he has spent a good portion of his life re-creating his childhood memories. Ryan's current modeling efforts are focused on re-creating the McCloud on a 4 by 8 layout. The limited space has called for some compromises, but the overall effect of the layout is definately McCloud in nature. The current layout pictured here is set in 1969, although a change to 2001 may be in the future. 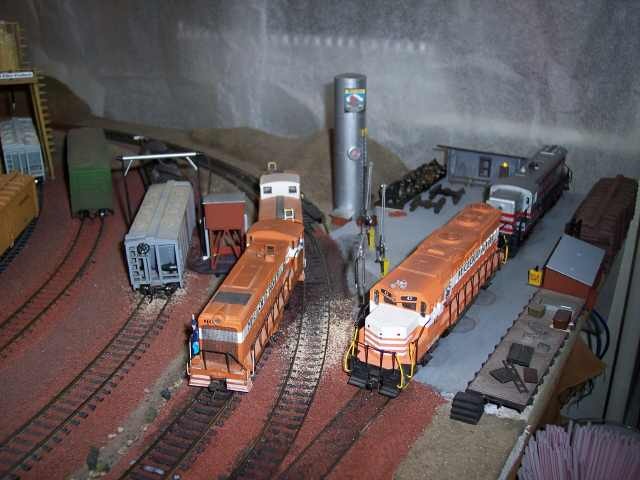 Ryan also hopes to someday build a much larger layout that will allow him to run some of his larger equipment, but for now this layout fits the bill nicely. 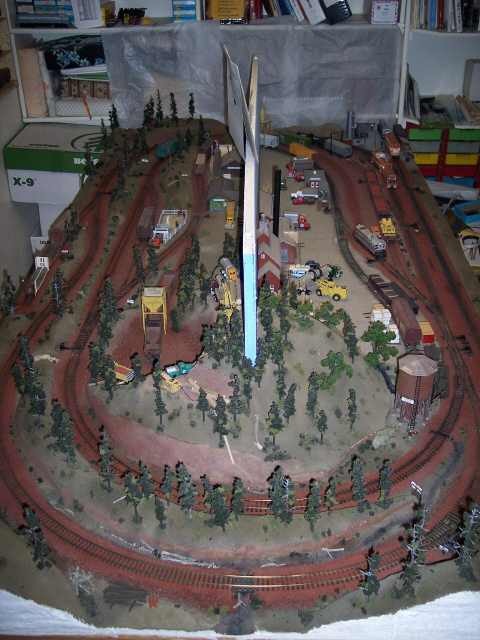 An overview of Ryan's layout. McCloud is on the right, with Burney on the left. Our tour starts at the engine service facilities in McCloud. A single track shop building will eventually be installed over the track on the right. 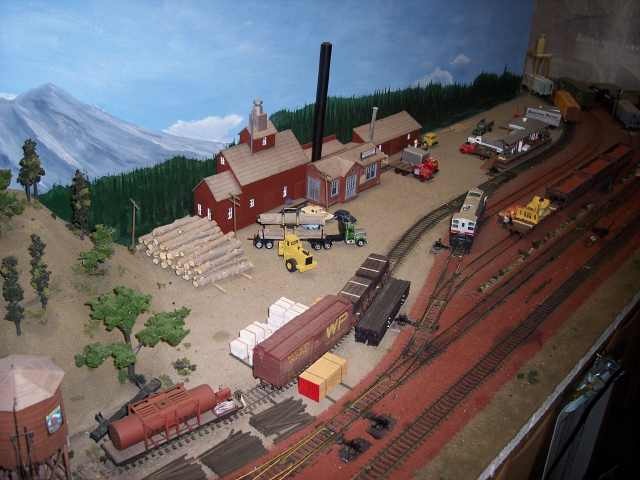 An overview of the McCloud yard and sawmill. Hooper tank is just visible in the lower left corner, with a fire car on the track next to it. The ballast train is spotted on one of the yard tracks. 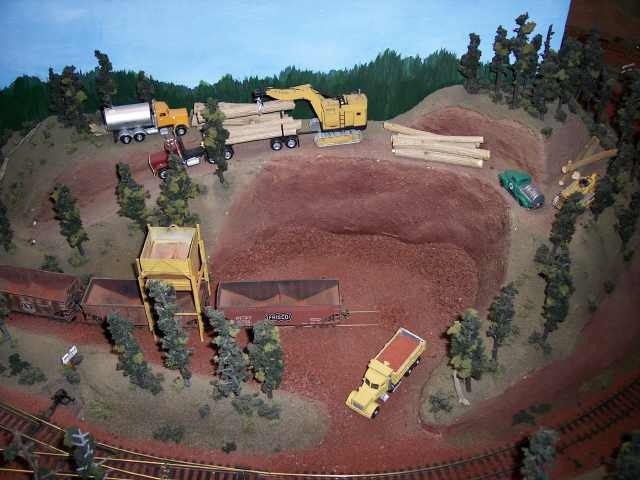 An overview of the ballast pit, with a logging operation taking place in the hills behind the quarry. The ballast cars have been spotted to receive another load. The tour concludes with this overview of Burney and Bartle. A sawmill in Burney and the freight depot are in the background, with the McIntosh Ranch loading pens in Bartle in the foreground.